A sink doesn't always have to match the toilet, but the two should visually connect at least somewhat. Link them using one trick or another to lessen a hodgepodge effect, which can cheapen the design. 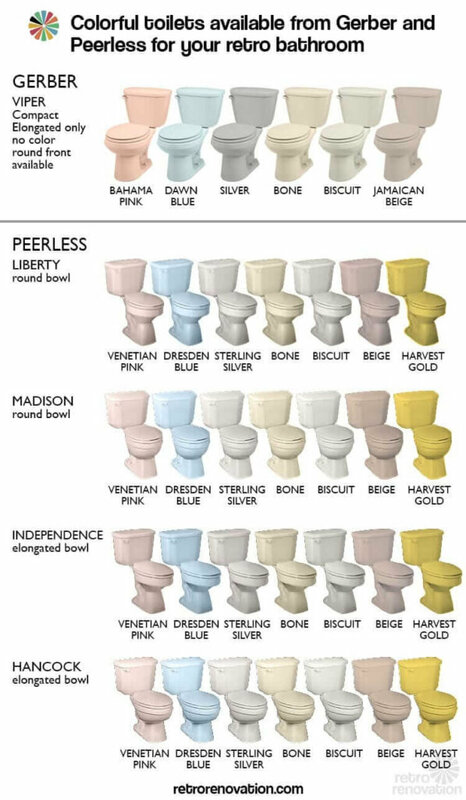 It isn't difficult to tie a new sink into a white or almond toilet, considering that these are standard bathroom-fixture colors. As long as the sink's counter, basin or cabinet relates to the john's tone, you'll achieve a color connection. If the toilet is lavender, pink or some other unconventional or retro color, however, you'll likely have to rely on accessories as the link. In this case, you can use a white toilet seat or cover to tie into a white sink, or go with colored pulls and towels that mimic the toilet's tone. If you plan to use unusually colored pulls as the link, it may be difficult to find them in even a similar hue. Spray paint comes in a wide range of colors; so, if needed, paint the hardware to get the color you're going for. Beyond the toilet and sink, pull the room together with matching metals in the light fixture, faucets, door handle and cabinetry hardware. If you're after a monochromatic design, such as a white-on-white effect, you'll benefit from matching fixtures or at least similar-colored ones. If the sink and toilet are light gray and white, or white and bone, for example, they shouldn't hinder the finished look. A yellow or blue toilet, on the other hand, can visually impair a white or neutral monochromatic design and should be replaced. Don't let this scare you; if you can operate a wrench, toilets are relatively easy to replace at about the cost of a spa treatment. When you're into laid-back design, nothing has to match, but should relate by theme or whimsical style. You might have a distressed, retrofitted dresser as the cabinetry on which a multicolored shell-shaped vessel perches like art. Not only would a sink-matching toilet seem strange, in this scenario, but where would you find one? If the fact that the toilet is unsuitably different -- or too plain -- bothers you, your spirited inner designer is likely happy to replace it with something in a more fitting hue, or to hang a colorfully beaded curtain partition between the fixture and sink, and take credit for the creative solution.